PG refers to point guard. This meant a lot to me. Probably more than she or anyone will ever know. I am confident if the WNBA was around when I was in high school I would have pursued a career in it. Basketball was my first love. Starting at the age of 8, I played from the time I walked out the door in the morning until sundown and sometimes later. By the time I entered sixth grade and started Parks and Recreation, I was the one of the best players on the court and I had never played organized ball. Some of those girls had been playing organized ball for 3 years, some longer. I’ll never forget my first game. No one ever mentioned the rules. In the first half I was called for the 10 second in the back court penalty. I was upset, it was embarrassing but I scored twice in the first half. At the start of the second half, I scored for the other team because no one told me we switched directions. I was really embarrassed! A great basketball player but no one prepared me with the rules. If my memory serves me correctly, the final score was 10-4 (we won). I went on to play in 7th grade at Baker Middle School. I was playing for the best coach I ever had Mr. (Mike) Vagnetti. He had five undefeated seasons prior to this season. I was the point guard. 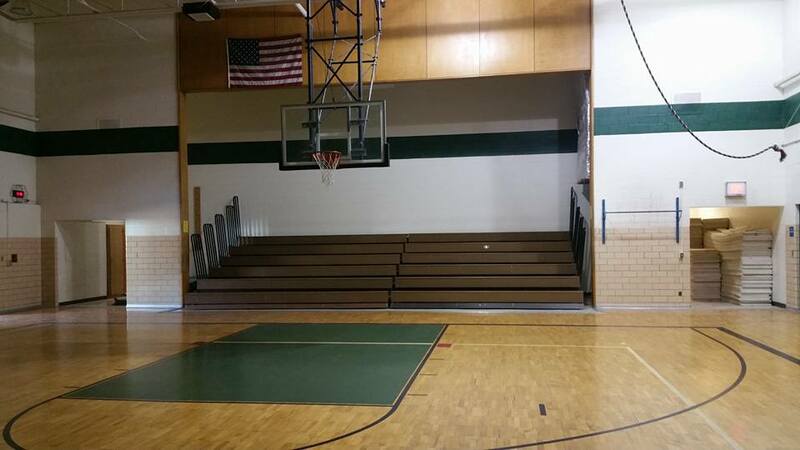 We pretty much flew through the season with no problems until Boulan Park Middle School. They had 2 girls who were already 5’8, Karen Merritt and Kara Kesler, and I was barely five feet. Tina (mentioned above) was also on this team. This was the last game we had to win to succeed as the sixth team in a row to be undefeated at Baker. At the end of practice, the day before the big game, Coach Vagnetti had us all lie down on the court. With our backs to the floor, he told us to close our eyes. He told us to envision 3 seconds left, we’re down by 1 and we make the game winning shot. I got the image in my mind. I was nowhere else but in the game winning moment. I believed it could happen. He gave us a vision and taught us the secret of visualization. It’s now game day, I don’t remember the score with 14 seconds left, but I do remember we were down by 3 points. Lena passed me the ball at the foul line and I threw up a shot that bounced around the rim and went in. Down by 1 with 9 seconds left. I was defending Boulan’s Karen Merritt who was bringing the ball up the court when she was called out of bounce. She disagreed with the ref’s call and forcefully threw the ball in his direction. She was called with a technical foul. Mr. Vagnetti made the decision to have me shoot the two technical foul shots. These moments define superstar’s from athlete’s. Anyone can play a sport but you “gotta have heart” to come through in the clutch moments to win the game. With less than 5 seconds left, I made the two foul shots to put us in the lead by 1. They didn’t have enough time to bring the ball up the court and WE WON. My point here is Coach Vagnetti gave us a vision. His vision coupled with my positive thinking and “heart” was a formula for our team’s success. I went on to have many more defining moments as a basketball player but only under the leadership of great coaches. The same is true for leaders of successful organizations. You must have a vision and positive thinking to prepare your organization to be “the superstar” and not just your average company. I encourage you to continue following our blog to find out more about our vision.